Learn the basics of knitting with beads in a relaxed fun workshop. 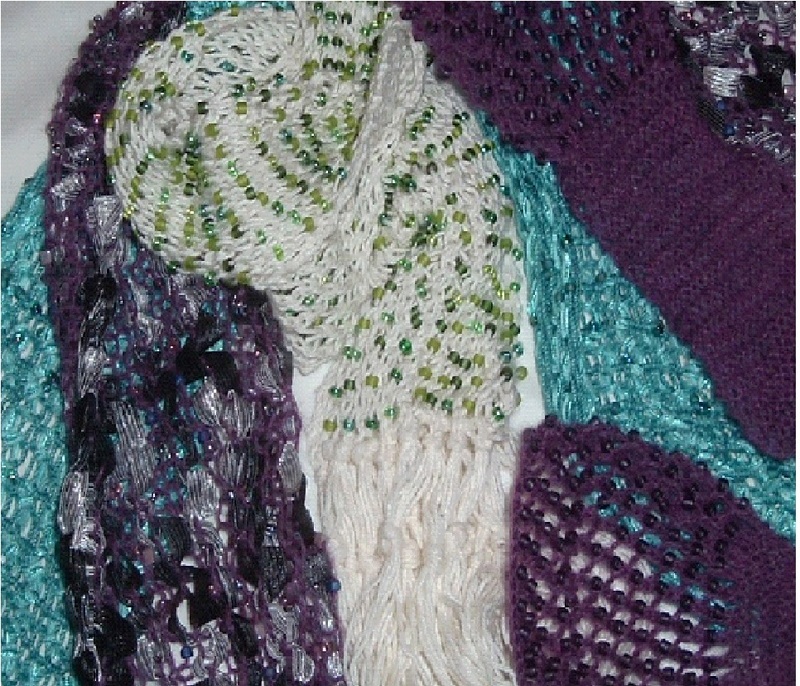 We’ll discuss different bead types and their uses in knitting while swatching various samples. Students will learn both pre-stringing and threaded techniques. Bring sock, lace, or other fine weight yarn and needles 2 or more sizes larger than indicated on the ball band. Adina DeRoy-Stouffer is a Squirrel Hill native and has been a teaching artist in the Pittsburgh area for the past fifteen years. Both a jewelry and a fiber artist, she sells her work throughout the area. She designs knitwear, is an avid quilter and an enthusiast of up-cycled sewing. Adina dyes her own yarns and fabrics, and is happiest when able to combine fiber and metal into mixed media jewelry.